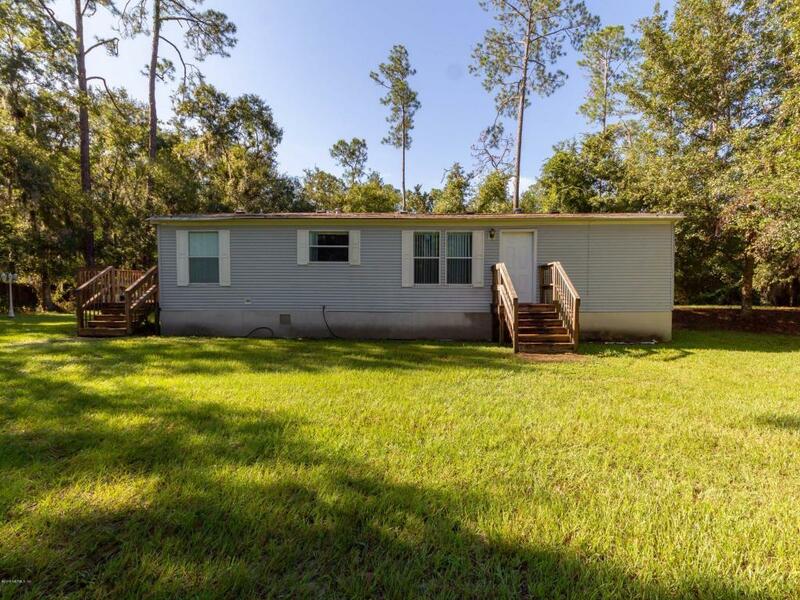 Don't miss this opportunity to own land that is almost 2 acres with a beautiful mobile home! Located on Pacetti Rd in sought after St.Johns County. Home features 3 bedrooms, 2 baths with split floor plan that over looks a pond. Family room is large in size and is fully open to kitchen. Kitchen has Eat in kitchen nook area and a breakfast bar to pull your bar stools up to. Wood flooring throughout with crown molding in family room. Home has Artisan well.